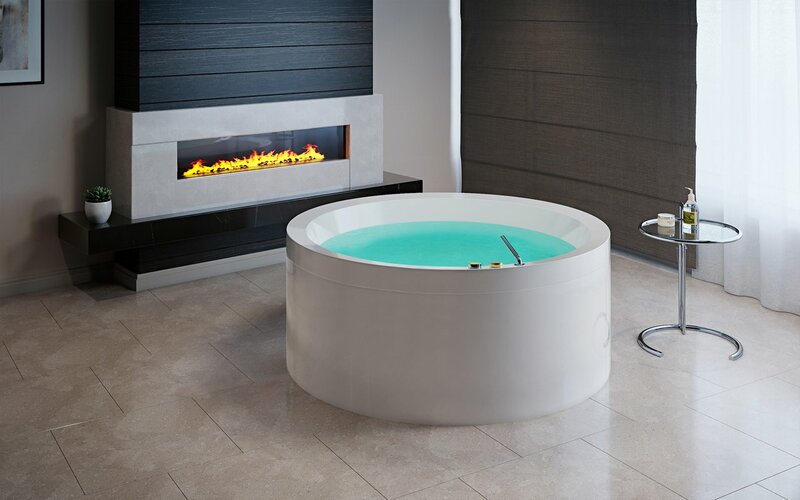 Our sublime circular Dream Rondo tub is one of our innovative new world-class hydromassage baths designed by renowned international designer Marc Saddler. 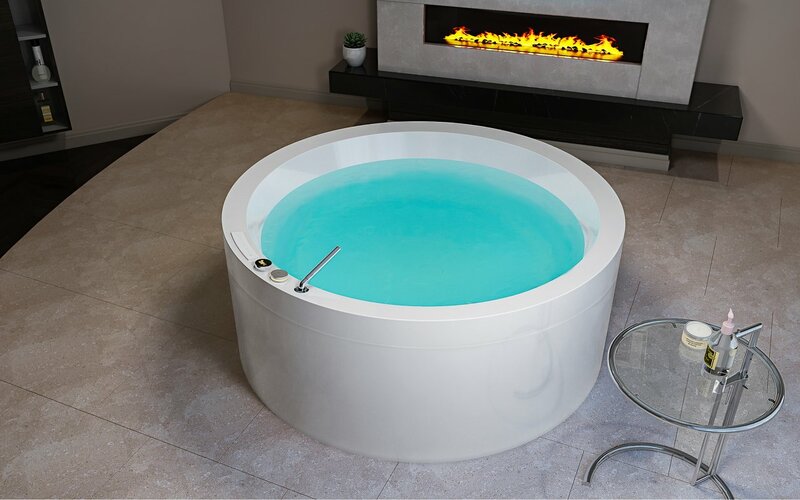 Made from our specially developed advanced DurateX™, Dream Rondo is suitable for both indoor and outdoor use, providing a generous 63" (160 cm) diameter tub with plenty of depth for full body soaking. Its very crisp, clean appearance makes it an ideal choice in virtually any kind of décor. Manufactured by Gruppo Treesse in Italy the Dream Rondo comes as a built-in model but can be ordered with additional perimeter panels which increases your installation options to either a semi built-in or freestanding bathtub. Whatever you choose, this ‘basic’ model offers you a very stylish, minimal, uncluttered appearance for a beautifully simple bathroom. Your Dream bathing experience can be made more enjoyable by the addition of our optional Relax air-assisted hydromassage. This incorporates at least sixteen low-profile air jets which deliver thousands of warm bubbles into the bath, to caress and gently massage your skin. Variable speed electronic control gives you wave or pulse modes at different pressures. The Relax system also incorporates underwater chromotherapy to create balance and harmony for the bather. This uses LED lighting installed around the perimeter of the bath below water level to provide soothing light therapy in a sparkling cycle of colors.